For the next week, Xbox One players of Neverwinter have a new lockbox to find, a returning event to participate in, and a new contest to win. The first two of affairs will only be around for approximately a week while the contest bounty will run for weeks with an unspecified end date. Players are urged to log in and tackle at least one of the activities before they are gone since there is probably one for everyone. First up, a new lockbox is dropping in Xbox One’s Neverwinter. The Unearthed Lockbox has a trove of treasures from beneath the ground and contains mounts, a new artifact, and more. A legendary beetle mount; a different, very rare beetle; and the Thayan Book of the Dad are definitely the highlights of the new lockbox. In fact, the Thayan Book of the Dead is a brand new artifact that, upon use, summons three undead to assist the player. As the rarest items in the box they have the lowest drop rate; however, other items like Artifact Provisions Packs, Planar Idols, and Trade Bar Jackpots are also a possibility. Of course, in order to open this lockbox or any other, an Enchanted Key is required. Players can acquire them by buying them from the in-game with Zen. Zen is the currency purchased with real money used for store purchases within Neverwinter. Exchanging the in-game currency, Astral Diamonds, for Zen is also a viable way to purchase Enchanted Keys. Each key is 125 Zen and buying them in a bundle slightly discounts their price. Zen is normally about a penny per point. If lockboxes are not a draw for you, there is also the return event called The Siege of Neverwinter. This event in Neverwinter opens up a new adventure zone for the duration of the experience. Players complete heroic encounters and daily quests to earn Dragon Hoard Coins and Dragon Hoard Coffers. Both currencies are used in the “Tyranny of Dragons” campaign to fulfill campaign tasks. Companions, fashion outfits, and dyes are some of the rewards of The Siege of Neverwinter. Finally, a new contest to fight, kill, and capture the defeat of Tiamat is now underway called Tiamat’s Takedown. Players are tasked with actively fighting Tiamat and capturing the defeat in video. They will then upload the footage and post a link of the video to the official forums with a specified hashtag. Neverwinter employees will then choose a submission winner that will receive a Heavy Mystic Nightmare mount. The winner will also get to select two friends to receive the mount as well. 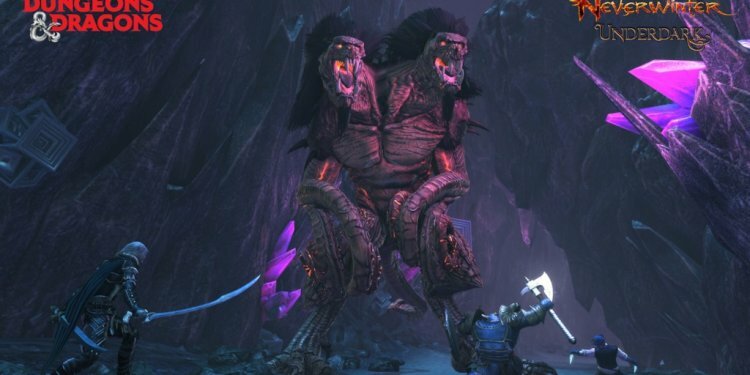 The Unearthed Lockbox will stop dropping on August 4 while The Siege of Neverwinter will cease on August 5. The Tiamat Takedown’s first winner will be announced on August 3 with additional winners each week the bounty is active. Copyright © 2019 l nw-astral-diamonds.eu. All rights reserved.